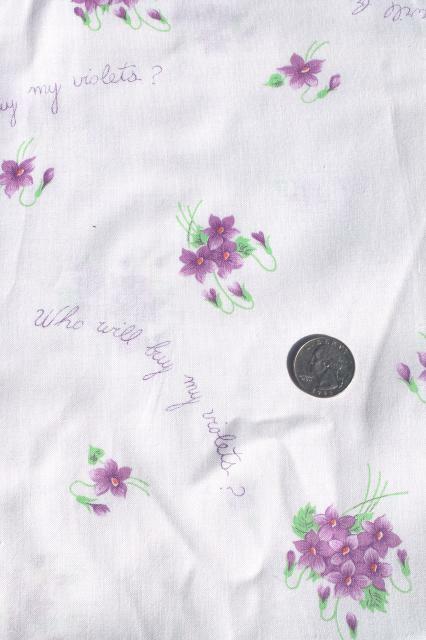 60s vintage print cotton fabric for Eliza Doolittle or Little Buttercup... this is nosegays and bouquets of violet flowers interspersed with "Who Will Buy My Violets?". 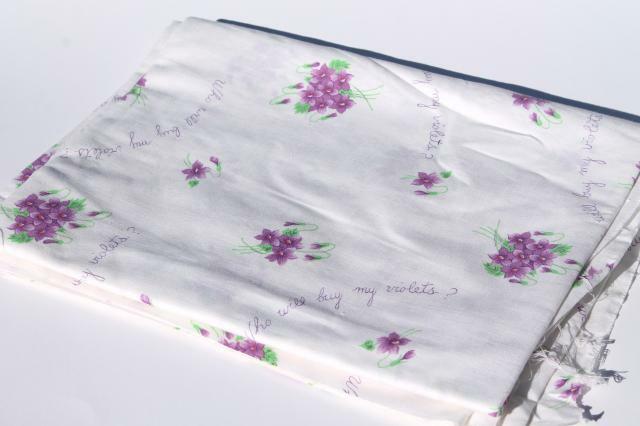 Very sweet, and very retro! 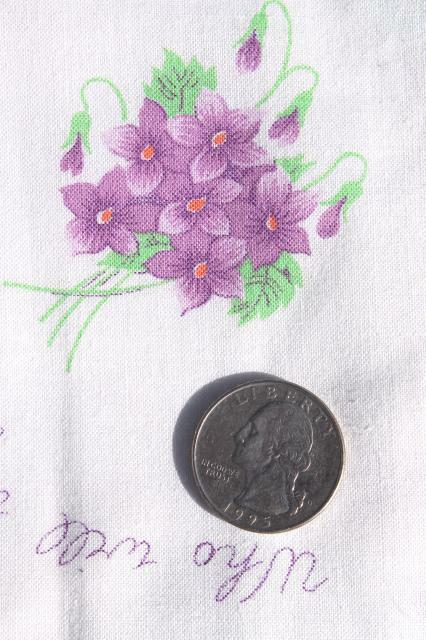 This is 36" wide x 3 1/2 yards. We saw a few spots, and light soil marks to the fold lines. We haven't washed or soaked it.